Read.gov Explore New Worlds. Read. The Center for the Book in the Library of Congress invites people of all ages to discover the fascinating people, places and events that await you whenever you read. Apply Now! Applications open January 14, 2019 to March 8, 2019. Through the generosity of David M. Rubenstein, the Library of Congress Literacy Awards recognize and support organizations that have made outstanding contributions to increasing literacy in the United States or abroad. The Literacy Awards program encourages the continuing development of innovative methods and is intended to draw public attention to the importance of literacy. The program was established in 2013 and is administered by the Library’s Center for the Book. Every year, a list of books representing the literary heritage of the 50 states, the District of Columbia and the U.S. Virgin Islands is distributed by the Library of Congress's Center for the Book during the National Book Festival. Each book is selected by a Center for the Book state affiliate or state library and most are for children and young readers. Books may be written by authors from the state, take place in the state, or celebrate the state’s culture and heritage. Discover great reads with our interactive map of the book list or view the original brochures and printable book lists. “American Conversations: Celebrating Poems in Rural Communities” is 22nd U.S. 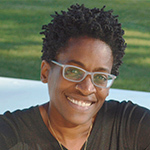 Poet Laureate Tracy K. Smith’s second-year project. In the months to come, she will visit rural communities around the country and engage Americans in conversations about poetry. 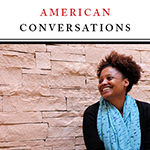 Follow along with Tracy K. Smith as she chronicles her conversations, experiences, and reflections on the road. “The Technicolor Adventures of Catalina Neon” is a bilingual, illustrated poem created by U.S. Poet Laureate Juan Felipe Herrera and artist Juana Medina. This poem will feature contributions by second and third grade students and their elementary school librarians from across the country. We invite you to participate and help tell Catalina Neon's story. Other book festivals and literary events are held nationwide. There is probably one near you. Throughout Read.gov, you will find classic books for readers of all ages that have been digitized for online reading, as well as lists of suggested titles that may be obtained at your local library. Is there a favorite book or poem that changed your life? Why not write to that author and tell him or her just how important it was? Letters About Literature encourages students to write to authors. Winners receive national recognition. 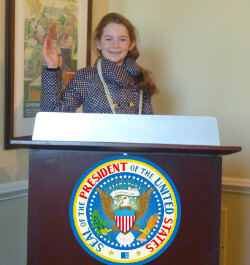 Find out more about the Young Readers Center Presidential Challenge. After opening the conversation on the books that shaped America, we're developing a new list of great books that have affected the world throughout history. You can help us choose the books that will go on that list by taking a short survey.